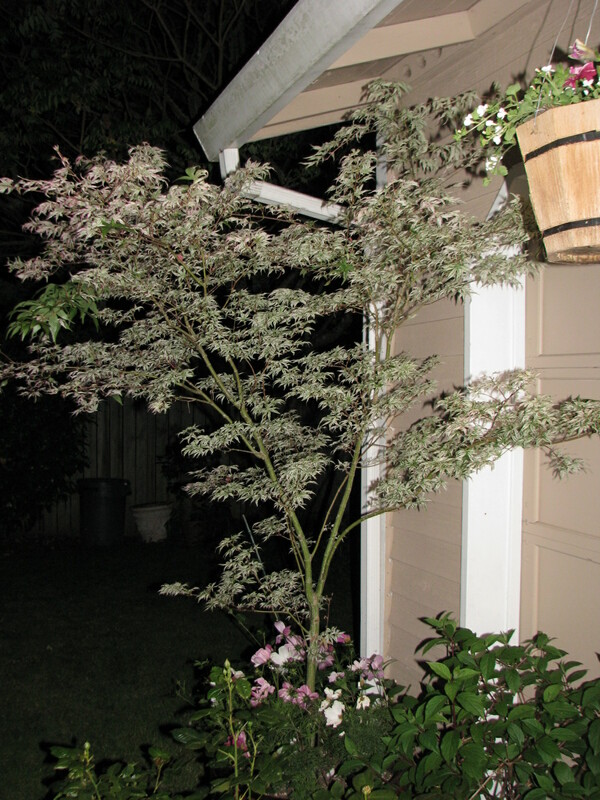 Here is my Ukigumo Japanese Maple as it travels through time. 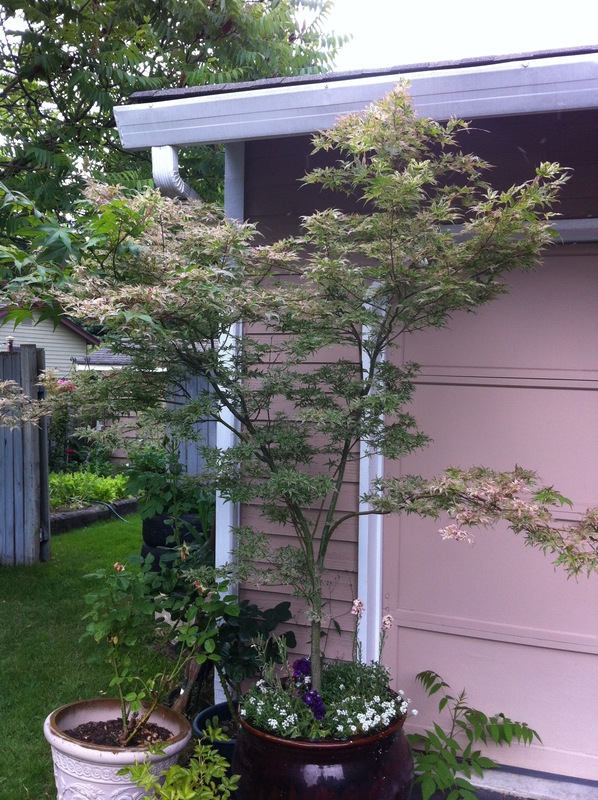 This beautiful Acer palmatum has been with me for five years and it’s grown a lot. This years photo shows it weighted down with raindrops and with partial variegation. I recently read that variegation is influenced by cultural conditions and that the leaves will revert to plain green with too much fertilizer or too much sun. I love all the colors on my Ukigumo, which receives full afternoon sun. Sometimes it gets a little burned on hot summer days, but I like it where it is, welcoming me home. Beautiful! Even if it does change colour the form and shape of the leaves is unbeatable. I love acers and wouldn’t be without mine! 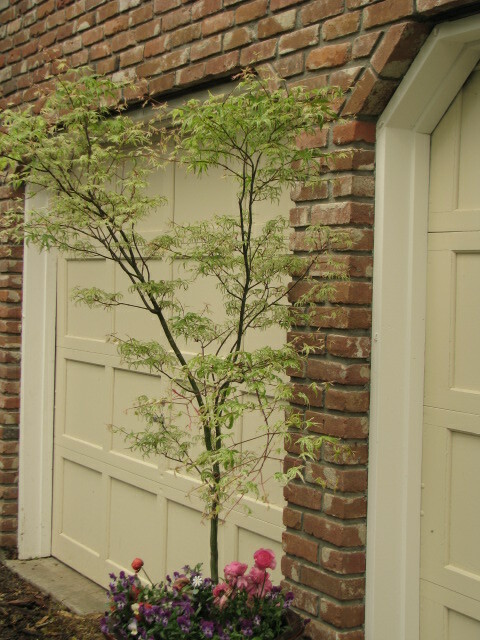 Yes, I dream of being a collector of Japanese Maples someday! Wow, your Ukigumo ha sure grown. What a beautiful tree & a sweet placement so that you can see it every day when you come home! I love this tree, sometime I’ll have to think about planting it in the ground. 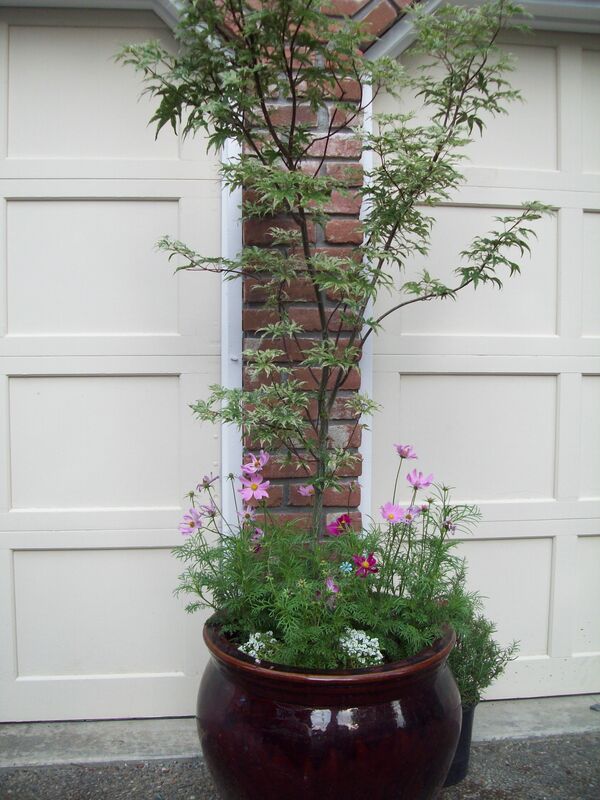 What’s your favorite Japanese Maple? Beautiful tree and photos – the colours on the tree (particularly in 2013) are stunning! Good to hear from you! How is your garden growing? It’s looking lovely but growth has been slow this year. Our British weather has been all over the place! Wow that acer has just gotten gorgeous!